This digital kitchen scale has been discontinued by Taylor and we're all out. 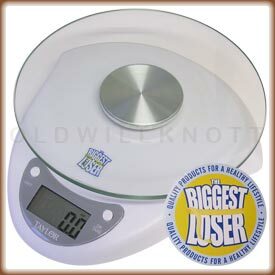 Check out our other digital kitchen scales. Biggest Loser Series Digital Scales It's never too late to get healthy and in shape. This digital kitchen scale is perfect for weighing out portions for your healthy snacks and recipes. Auto-Off Feature If ya have ever had the batteries in something run out because you forgot to turn it off, you'll realize what a blessing this feature is. The Taylor 3831-BL will automatically turn off after a few moments of inactivity, saving battery power and money. This is a great little scale. I love the clear plate which makes it easy to see the readout. That being said, if you put a dinner plate on the scale, you won't be able to see it It's a common sense component of use of this scale. It tares easily. It switches from grams to ounces easily. It's light and compact and cleans up easily if you spill. It also fits easily into a gallon zip lock bag which will protect it from spills. I've been buying scales from Old Will Knott for probably twenty years. I had a soap making business and used both a small scale and large heavy duty scale and never had a bit of trouble with either one. 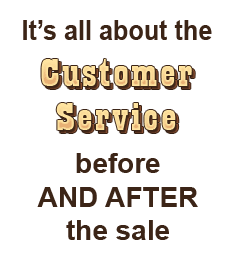 You will find top quality products and service at Old Will Knot Scales. I ordered this scale two years ago, and was blown away by the care that Old Will Knott Scales provided. My scale arrived earlier than expected, and was packed wonderfully, so I opened it up in good condition. In those two years, I've used it to weigh my geckos (gram function), and it has worked as expected this entire time without any issues. A very good scale from very nice people. The web site was great, the product arrived a day early, it works perfectly, it's very accurate, it has helped me greatly. I had checked other sites and they just didn't have what I needed. I would recommend this site and company to others. My experience with them was excellent!!!!! Weighing out my food was very intimidating, but when I started using this wonderful little gadget, especially with its "tare" feature that zeros out the container you place your food in, I found it to be simple and not difficult at all. This little jewel works like a charm. I can set a measuring cup on the scale, hit the tare button, start dropping mixed nuts into the cup and watch as I keep dropping nuts until the scale reaches 28 grams (one serving size). I can also weight blackberries, hamburger, pork chops, etc. I love the way it works and the way it looks. I am very pleased with the "biggest loser" scale. The price is lower than I found at the box stores and ditigal. The delivery was really quick. The scale is the right size for the kitchen and very accurate. I like the glass platform. It is easy to clean. If you are weighing less than 6.6 pounds, this is a great scale. This scale is awesome ! 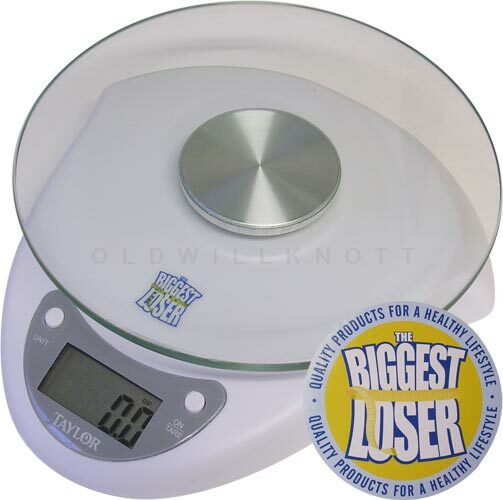 works perfect and i can't believe the price....why pay a lot more when you can get this jewel for a great low price....this scale is sensitive and extremely accurate....thank you Old Will Knott Scales for an outstanding value and quality products. I am doing a ketogenic diet which requires me to pay particular attention to portion control. This scale is fantastic not only is it easy to operate it is the perfect size plus the glass top allows you to sit food on it and wipe it up easily. I put my plate on it and hit the tare button and it removed those ounces then I put the food on it and I am done. I can't say enough about how much I LOVE this product, and this was the best price I have EVER found for an electric scale. I have wanted one for years but didn't want to pay $40+ dollars. The price was fantastic, and Old Will Knott Scales shipped quickly. I am enjoying this product and am sure I will be enjoying it for years to come! Great product, great company, great price. Highly recommend it. I love this scale. It is just perfect for my every day use. I keep it on my kitchen counter, its small, yet it does the job. I love that it features both grams and ounces. I would reccommend this scale any day. Great Value! Oh, and I would also give a shout out for Old Will Knott! Delivery was prompt. This scale is perfect and it is so cute. I love it. Performance is excellant. I was just diagnosed with Type 2 Diabetes. Excellent for my needs. I have to measure everything I eat. Received everything very fast. Good communication. Perfect for my use. Great cust svc. Very fast del. Price is right.